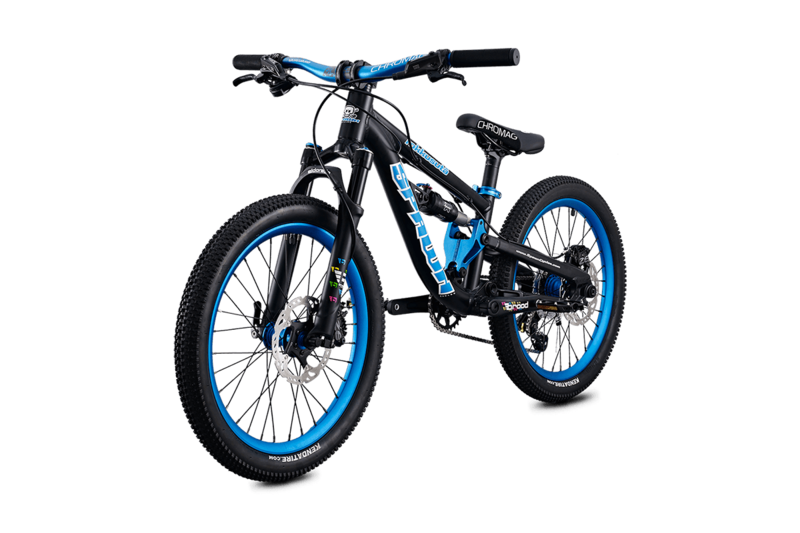 The Spawn Cycles Rokkusuta represents the culmination of over 2 years of development and testing to deliver what we feel is the most advanced full suspension bike available for kids. 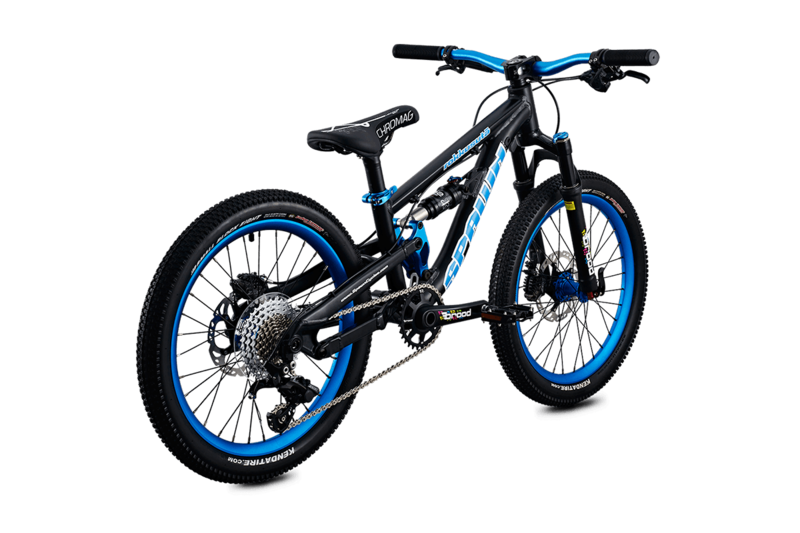 The Rokkusuta uses a Horst Link suspension design for significantly improved ride properties over single pivot and "faux-bar" designs. We've taken our cues from modern adult trail bikes - the Rokkusuta is long, slack and a capable climber despite it's 100mm of plush front and rear travel. The frame uses custom forged dropout, yoke, clevis and rocker designs, a 142 x 12 axle and even boasts internal routing for dropper posts - every piece of the Rokkusuta frames been purpose built after countless hours of testing both through computer simulation and in the wild through North Vancouver, Squamish and Whistler. As far as components, the 20" Rokkusuta features the Brood Bikes Eldorado fork and X-Fusion O2 Pro RL rear shock, Chromag Vanguard handlebars and Overture saddle, SRAM Guide Brakes, SRAM GX derailleur and shifter and the new Brood Bike Co. two piece crankset with direct mount narrow-wide chainwheel. 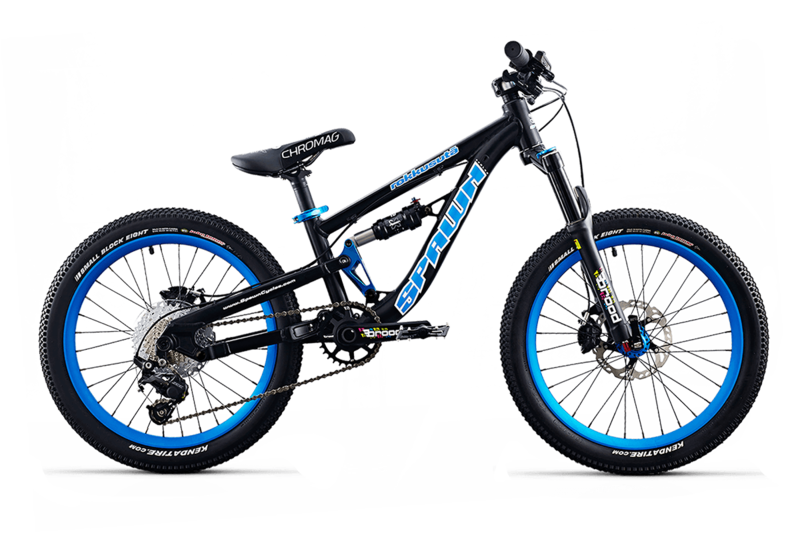 The bikes are built to shred straight out of the box! Some minor assembly will be necessary.